The Collection of Archivalia covers the period from the 18th century to the present day, and contains heterogeneous material related to various outstanding figures and events. 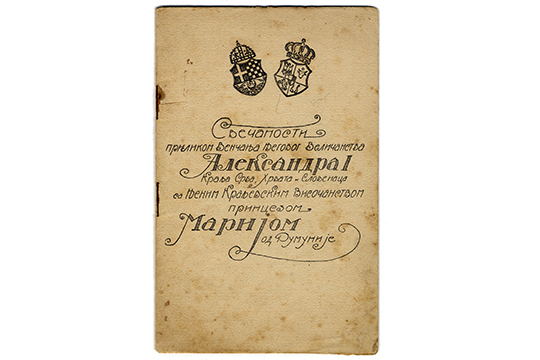 In addition to personal documents, memoirs and diaries, drafts of laws and other legal acts, the Collection contains numerous testimonies, charters, diplomas, guild certificates and other materials important for the history of Serbia and the Serbian people. Of particular importance as well as interest is the private correspondence of members of the Obrenović and Karadjordjević dynasties. In addition, also preserved is the private correspondence of outstanding figures, such as ministers, university professors and MPs from the time of World War One, and the original documents relating to Serbian refugees, as well as diaries and documents created during the work of senior officers of the Serbian army, such as Generals Dragutin Kušaković, Antonije Stošić and Svetomir Matić, Colonels Zdravković and Šumarević, Lieutenant-Colonel Živojin Nešić, and Miloš Stanić, the quartermaster of the Šumadija Division. 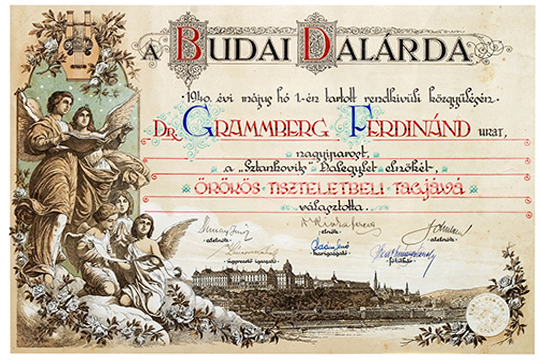 Among the oldest documents in the Collection are charters and diplomas bestowed on prominent Serbs, such as Radič Petrović and Peter Živković, dating to the late 18th century, and granted by the Habsburg rulers; but also the Russian charters of the mid-19th century issued to Jeremiah Gagić and Metropolitan Mihailo. Of particular importance is the firman of Sultan Abdul Hamid I to Devič Monastery, as well as the charter of Peter the Great to the Monastery of Rakovica.